"The greatest of living nature poets. . . . It helps us to go on, having Gary Snyder in our midst." --Los Angeles Times. Snyder is the author of many volumes of poetry and prose, including The Practice of the Wild and the Pulitzer Prize-winning Turtle Island. Reading tour. 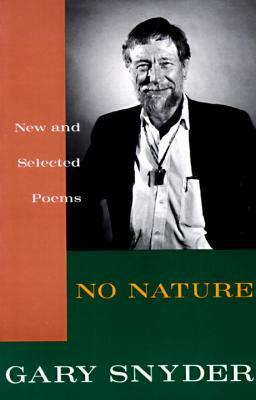 GARY SNYDER is a poet, essayist, lecturer, and environmental activist. His accolades include the Pulitzer Prize for poetry (1975), the American Book Award (1984), the Bollingen Prize for Poetry (1997), the John Hay Award for Nature Writing (1997), and the Ruth Lilly Poetry Prize (2008). Often associated with the Beat Generation and the San Francisco Renaissance, he is known as “the Poet Laureate of Deep Ecology,” and his poetry reflects an immersion in both Buddhist spirituality and nature. Snyder has translated literature into English from ancient Chinese and modern Japanese. For many years, Snyder served as a faculty member at the University of California, Davis, and he also served for a time on the California Arts Council.